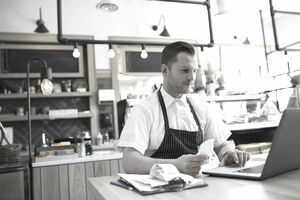 Travel, meals, and entertainment expenses are allowable deductions, with exceptions and restrictions, under Internal Revenue Service (IRS) rules for business. The IRS defines travel expenses as ordinary and necessary expenses of traveling away from home for your business, job, or profession. Generally, your “home” for tax purposes is the entire city or general area where you live. Regarding transportation, you can deduct the cost of transportation between your home and your business destination. If you drive your car, the best method is generally to use the standard mileage rates established by the IRS. You can also deduct the following: taxi fare, commuter bus, or airport limo; baggage and shipping; dry cleaning and laundry; tips; various other expenses. You can deduct your cost of lodging. You can also deduct the cost of your meals while you are traveling but only 50% of the unreimbursed cost of your meals. You can also use the allowed state per diem rate. The exact per diem rates for every state are available. To be sure you are calculating your per diem rates correctly, you should take a look at the state per diem rates. Entertainment expenses are generally a red flag for the IRS. In order to be able to deduct entertainment expenses, the entertainment has to be necessary for your business to earn income and it has to take place in a clear business setting such as a conference room at a convention. It cannot take place in a nightclub, theatre, social gathering, sports event, or cocktail party. When you deduct an entertainment expense, you have to be able to prove that a substantial business discussion has taken place during the activity. Generally, you can only deduct 50% of entertainment expenses. You can deduct 50% of your meals if they are for entertainment purposes but not if you have already deducted them for business travel. It is vitally important to practice good recordkeeping for travel, meal, and entertainment expenses. Keep your receipts and keep mileage records in a journal you keep in your vehicle. This category of deductions is often a red flag to the IRS and you may be asked to prove your deductions if you are audited. Publication 463 (2008) will give you more details on this category of deductions and a number of special circumstances. The 2009 version of the publication has not yet been released.